Here on WS, the cute little Furballs are all ready to treat you to a chunk of their treasure! This Furballs casino slot game is bright and inviting, and also has plenty of cash waiting for you to win with every spin. But it’s not all about the winning, though, as these colourful critters are guaranteed to bring you some top fun and giggles along the way! So, get ready to hit the spin button and see just what hijinks they’ve got planned for you. The casino software developer Portomaso Gaming have put lots of time and effort into the adorable characters that you’ll meet in this game, and all of this hard work certainly pays off. The animations and graphics are both cute and streamlined, making it incredibly easy to get lost in this enjoyable cartoon world. Want to discover online casino slot games from Portomaso Gaming? Follow the link. Say hello to all of the gang – you need to meet Wiggy, Frosty, Anita, Sparky, Boomer and Roland. These are your new pals who you will be playing with! When you start to play, you could be forgiven for thinking that you’ve actually just loaded a game of Tetris. But don’t be fooled by the game board’s layout; you still have the usual five reels to play with. It’s just that spinning will be a bit different, but it’s quick to get used to. Visit our guide and see if you can pick the best slot games to play based on your preference. The symbols you are playing with are the main characters themselves. They will seem to fall through the board with every spin, and their new positions could win you a considerable pay out. Plus, there are some fab extra features that could increase your winnings even further. · POWER SYMBOLS – Power symbols pop up onto the board at random. They will explode and cause the Furballs to fall off the board, which will result in you not winning a penny for that spin. But every cloud has a silver lining, and that could be the new combinations that line up once Furballs fall into the empty slots left after the blast. 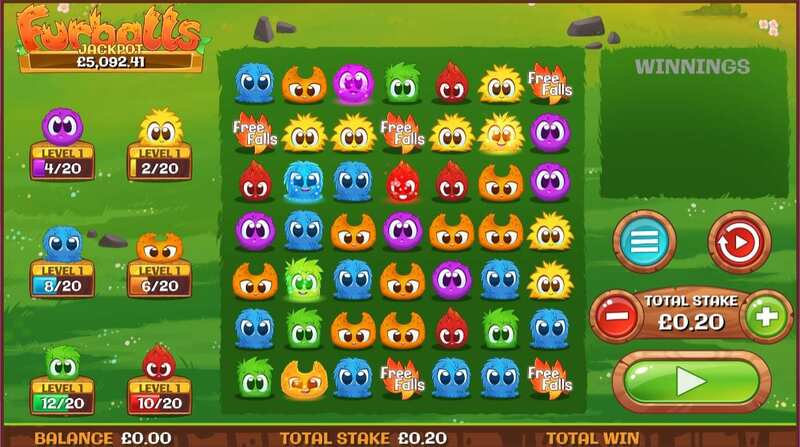 · GLOWING FURBALLS – If you get five or more Glowing Furballs on the board, then your winnings will increase. 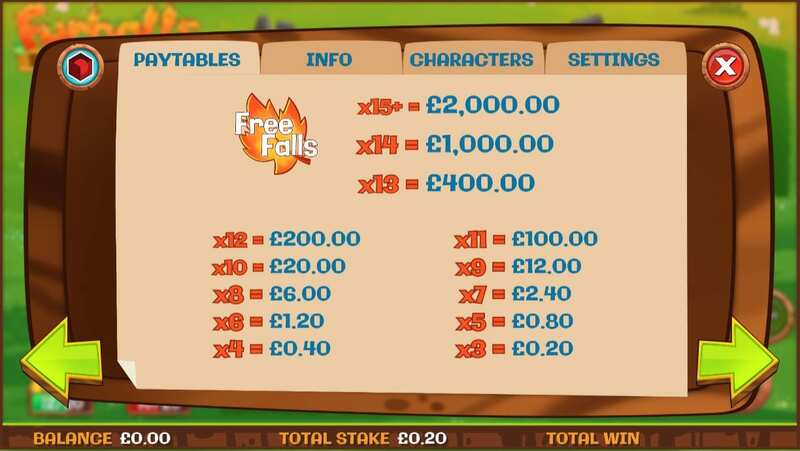 · FREE FALLS – If you connect three of more Free Fall symbols, then you’ll win some bonus goes. These are basically just like the free spins you get on other slot games. You can win between eight and fifteen free falls. During your free falls, multipliers will increase the amount of your pay-outs. · MINIGAMES – Each Furballs character has its very own mini game. These are triggered when the character reaches a certain XP level. You could be rewarded lots of great cash prizes if you ace the mini games.